The blog I posted last week (04/16/12) featured guest doctors and scientists visiting classrooms in white lab coats to focus students’ attention on S.T.E.M. subjects – Science, Technology, Engineering and Math. White coats can also catch young eyes, ears, minds and hearts when they connect with the arts – as in martial arts! Meet Glen Haase, a Chief Instructor of Martial Arts, shown in my blog pic below with one of his students. 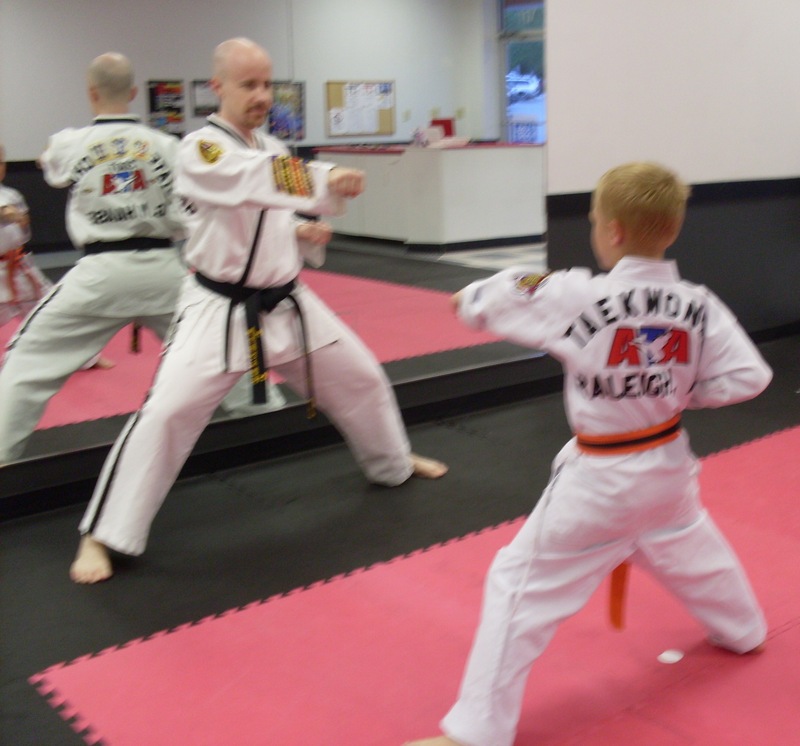 Glen’s journey to attaining his current Fifth Degree Black Belt in Taekwondo began in fourth grade. Glen was age ten when he started Taekwondo training; he was a student in Wake County, North Carolina Schools – now the seventeenth largest school district in the United States. The size of the school system is significant because the Taekwondo school that Glen now manages as Chief Instructor attracts elementary school children and their families. "The Martial Arts are a great way to help kids build focus." doors to schools, like you see in my blog pic here, where Glen visits students to support character trait development – specifically the character traits of respect and self-discipline. “Those two key traits,” asserts Glen, “lead to self-confidence; we help with that in Taekwondo training.” When Glen visits elementary school classrooms, he doesn’t just wear his white attire, he demonstrates the moves and oh yeah…catches and keeps the kids’ attention! Glen’s students practice Taekwondo but they also learn a bit about the history of the Martial Arts. As Glen explains, Taekwondo originated some 2000 years ago as a Korean Martial Art. In the language of Korea, Taekwondo means the way of the hand and foot. Anyone who has ever watched practitioners of this ancient art understands the translation. Kids aren’t Glen’s only target. His school encourages parents and pre-school children to be involved, like you see in my blog pic below. 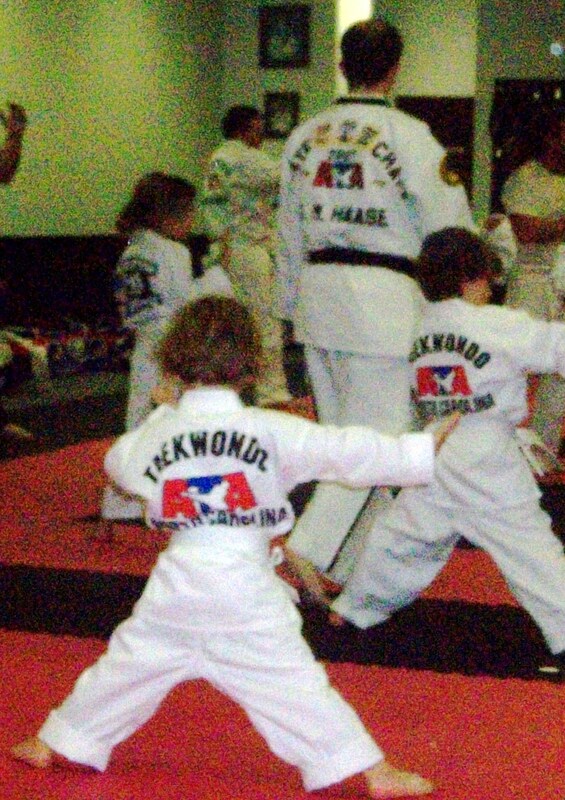 "Parents and children of all ages benefit when they participate in Taekwondo together." Improving is an important part of Glen’s (and each of our) personal story. He recalls how shy he was as a ten-year-old when he started Taekwondo training. “I was a kind of couch potato,” Glen elaborates,”until I got excited because I was getting to kick, punch and break boards, but I was also becoming more confident. 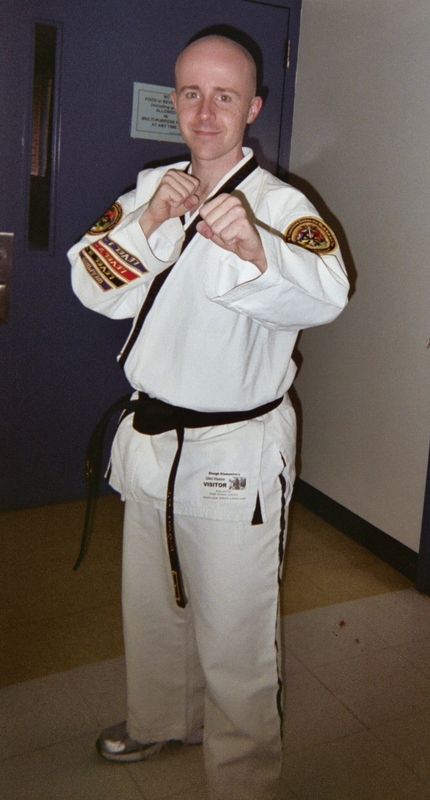 No question, the Martial Arts helped me achieve goals.” Glen earned his Black Belt in 1997 at age fourteen. Glen remembers how Ms. Torgerson facilitated a Pen Pal Project for her class during his fourth grade year. One of his classmate’s dad was deployed that year (1993) on the John F. Kennedy, a United States Navy ship, touring in the Mediterranean Sea. Ms. Torgerson got her students on board (pun intended) the Pen Pal Project by inviting them to take turns writing weekly letters (before the advent of e-mail, texting, Skype, etc.) to send to the Naval officer. Glen’s classmate’s dad would in turn send letters home describing his tours, including leave on Gibraltar – that letter has stayed firmly, like a rock, in Glen’s mind. Glen’s and my paths crossed at a school where we were both serving as guest teachers, and I got to thinking…each elementary (primary) school anywhere in the world is its own community, one that can be enriched when teachers and staff invite members of the community, like Glen, to be part of school. 1 Pings/Trackbacks for "The Art of Marshaling Students’ Attention"